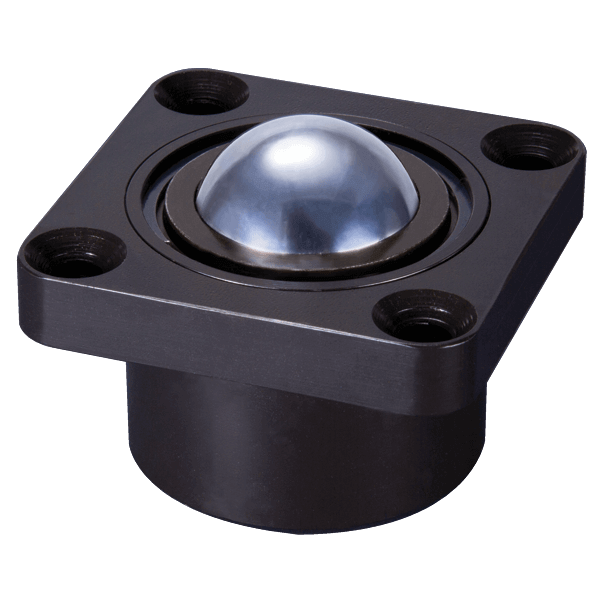 Omnitrack 93 series heavy duty ball units incorporate integral bottom flange, ideal when base or surface mount fitting is required. 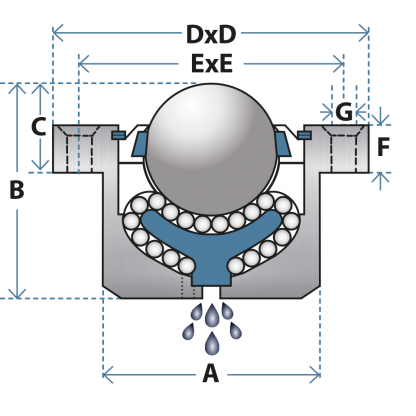 9300 incorporates 2 hole circular flange & 9310 features elliptical 2 hole fixing. All other models incorporate square flanges. Alternative fixing centers or sizes are available upon request. Lowest coefficient of friction & smoothest performance available. Material upgrade options are shown below – order by adding the suffix to the part number required, for example, 93419350 ‘SS’ for all stainless steel parts.